happy sunday!! it is a waffle kind of day but instead of breakfast waffles i am whipping up some chocoately dessert waffles. i mean, you could have these for breakfast too, i won't judge you one bit. 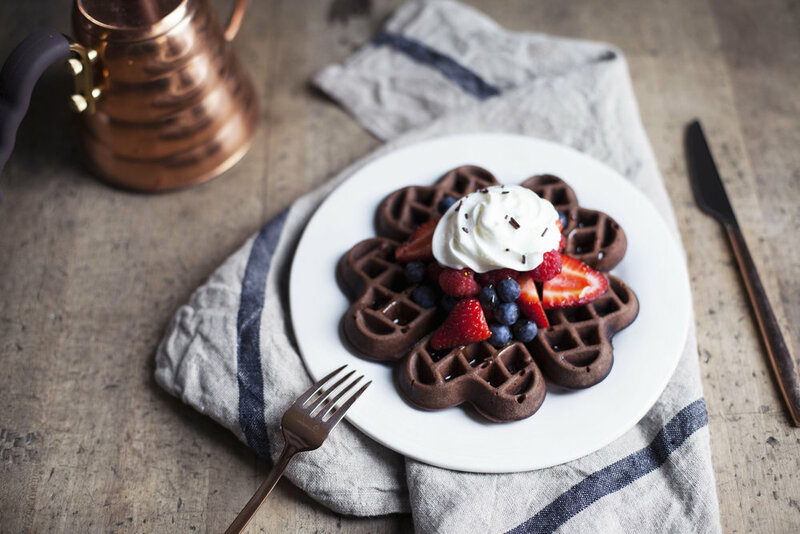 these chocolate waffles are a crispy belgian waffle which comes from separating the eggs & whipping the egg whites. do not skip this step! it makes for a much lighter & crispier waffle. i am so excited to show you nordic ware's new waffle iron: the sweetheart waffler! this is a stove top iron & i am NEVER going back to any other kind. 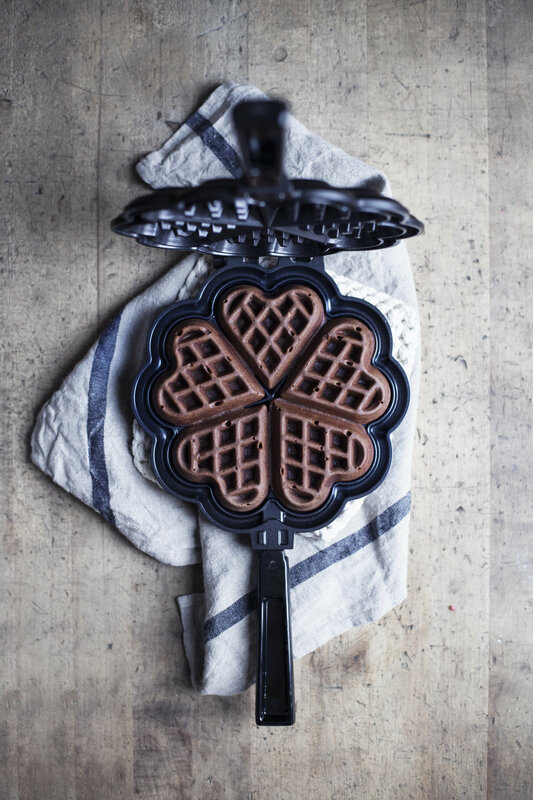 it's smaller, easier to store & makes the prettiest looking waffles every single time. i don't even own a microwave as i try to keep my large appliances to a minimum so this waffle iron was the perfect compact addition. 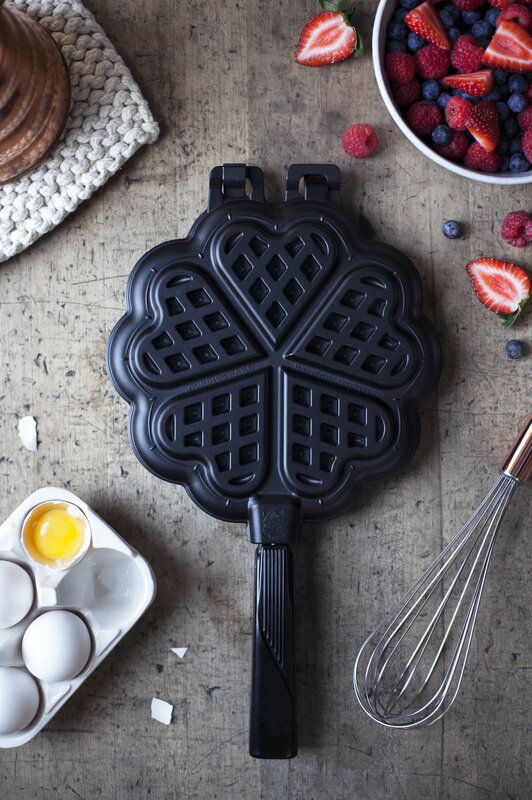 the new sweetheart waffler was inspired by the scandinavian heart waffle designs, based on nordic ware's existing stovetop belgian waffler. it is made of heavy cast aluminum with a two-hinge design that makes for quick heating & cleaning. because, have you ever tried to clean a clunky plug in waffle maker... impossible. p.s. for those who were asking where they can find the sweetheart waffler: here. note: if you want to make these for breakfast, eliminate 1/4 cup to 1/3 cup of the sugar for something a little less sweet. 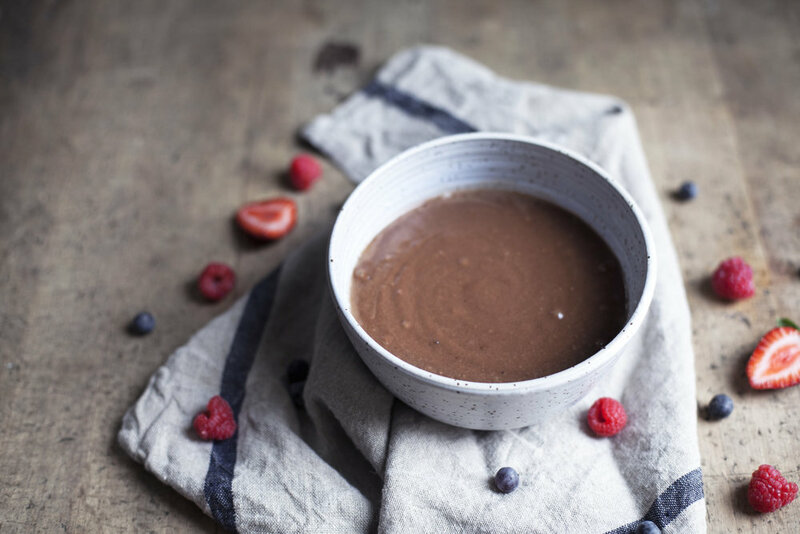 in a mixing bowl sift flour, cocoa powder, baking powder & sea salt. set aside. 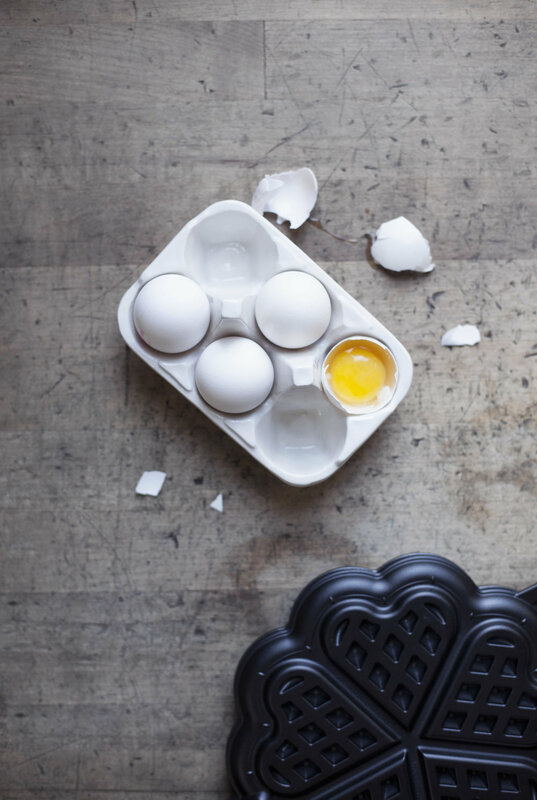 in a separate mixing bowl beat together the egg YOLKS, raw sugar, vanilla extract, oil, butter & milk. add in the dry ingredients until the batter just comes together. beat the egg whites to medium stiff peaks & gently fold into the batter. spoon a heaping tablespoon of batter onto each waffle heart. close waffle iron & cook over medium heat on the stove top for a minute on each side. repeat this step until no batter remains. top with fresh fruit, syrup (chocolate, peanut butter &/or maple syrup) & fresh whipped cream.